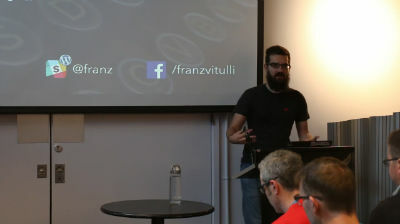 Franz Vitulli: Closing keynote – Are Twitter threads killing blogs? April 4, 2019 — Whilst Twitter and Instagram are services mainly known for sharing respectively short messages and photos, people today seem to be quite inclined to use them for long-form content as well, oftentimes opting for Twitter threads and Instagram long captions instead of blog posts. 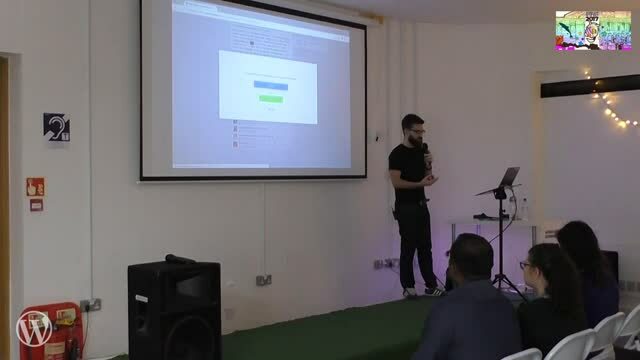 In this talk I’m going to analyse the how’s, why’s and wherefores of this phenomenon, and I’ll share insights on how blogs and social media can complement each other. This session is aimed at content creators—marketers, journalists, authors, editors—as well as any individual who’s passionate about social media, quality content and storytelling. September 20, 2018 — From blog posts to internal reports, reviews, documentations, business proposals or social statuses, there is a wide range of cases to write for. Whether you’re an accomplished writer or not, you need to have an established writing workflow in order to create better content with less resources. In this talk I’ll explain how I start from a simple idea and develop a good text that is ready to be read by someone else. Tools of the trade, good and bad habits, text accessibility, but also lessons learned from pragmatics, sociolinguistics, and other linguistics subfields. This session is aimed not only at authors and content creators, but also at all professionals who want to write more effectively for different purposes. February 19, 2018 — There has never been a time in the history of humanity when it was easier to build cool stuff. But whilst we usually think “building” is a developer trait, everyone in the greater WordPress community is building something. We don’t just build websites or apps: we build relationships, audiences, teams, careers, you name it. 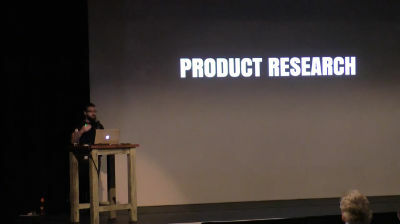 Being a “product person” is a mentality, a mindset. It’s not necessarily something related to “a” product. 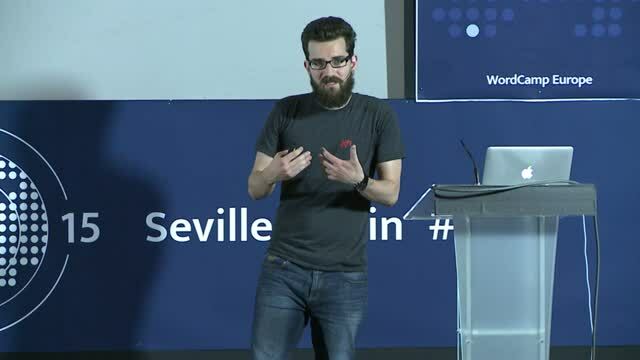 In this talk, Franz will explain how he applies his identity as a product person to everything he does: identify a problem, sketch, prototype, test, focus on what works, fix or discard what doesn’t, launch, grow, reach the maturity stage. No matter what the product is. This talk is for everyone in the WordPress community who wants to streamline their processes or become a better product person. April 11, 2017 — Non c’è mai stata un’epoca nella storia dell’umanità in cui creare era più semplice di quanto lo sia adesso. Ma mentre, di solito, quando parliamo di “prodotti”, la nostra mente va a startup, applicazioni, software, siti, ebook, in realtà creare è un tratto che tutti, nella grande comunità del web, condividiamo: relazioni con i clienti, masse di utenti, team, carriere, decisioni, et cetera, possono essere considerati prodotti ed essere costruiti secondo le stesse modalità. Essere una “product person” è una mentalità, e non necessariamente si riferisce a un prodotto in particolare. 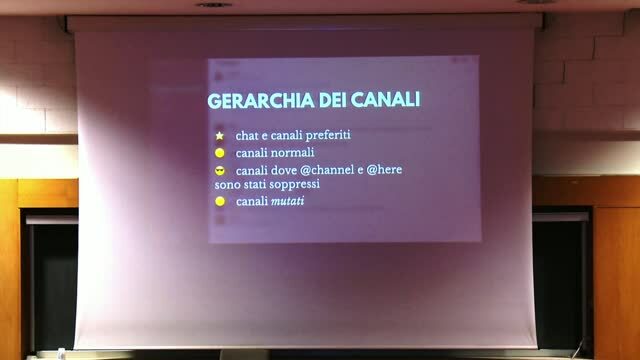 In questo talk, spiegherò come applico la mia identità di “product person” a tutto ciò che faccio: identifica un problema, stabilisci un obiettivo a lungo termine, crea una prima soluzione, testala, concentrati su cosa funziona, aggiusta o elimina ciò che non funziona, lancia, fai crescere. Non importa qual è o cos’è il prodotto di cui parliamo. 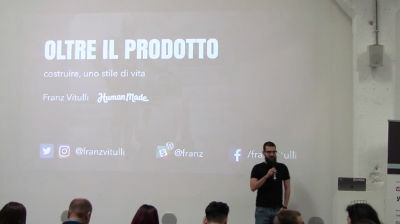 Questo talk è per chiunque nella comunità di WordPress voglia migliorare i propri processi o diventare una miglior “product person”. November 21, 2016 — Nei primi anni novanta, l’economista britannica Frances Cairncross osservò la diffusione di Internet e ne predisse il ruolo decisivo nella cancellazione delle distanze. Ma all’atto pratico, in un ambiente lavorativo distribuito come quello di Human Made, come facciamo in modo che la lontananza non abbia un impatto negativo nel nostro regolare flusso di lavoro? In questo talk illustrerò come interagiamo internamente a Human Made. Strumenti, meccanismi e strategie, senza perdere di vista ciò che conta davvero: chiarezza nelle informazioni, efficacia nelle comunicazioni e rispetto reciproco. Con un occhio di riguardo alle sfide con cui un’azienda che lavora in remoto deve fare i conti quotidianamente: diverse culture, diversi stili di vita, diversi fusi orari. Questo talk è per tutti coloro che lavorano in remoto e vorrebbero comunicare più efficacemente, e per chiunque voglia imparare a possedere i mezzi di comunicazione anziché esserne posseduti. November 11, 2016 — “Distance will die,” the British economist Frances Cairncross predicted while observing the spread of the Internet in the 1990s. At Human Made, which is a distributed and location agnostic WordPress agency, we are defeating distance on a daily basis by using several tools and adapting them to our own needs. In this session I’ll explain how we communicate internally at Human Made, and share how you can implement the same strategies to communicate effectively with the rest of your team—while reducing issues related to different time zones, cultures and lifestyle. 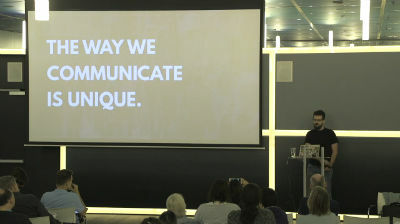 This talk is for every remote team who need to improve their internal communication to maximise productivity, and for everyone who want to own their communication tools and apps rather than being owned by them. March 11, 2016 — More and more developers are using WordPress to build and sell online products (web apps, SaaS, etc. ), and providing excellent user support is a skill certainly not to be taken for granted. The talk will touch on the benefits and challenges of a great user support and training. I’ll share the most common problems I encountered whilst dealing with support. It will also look at how I give the best support I can and the tools that enable me to do so. 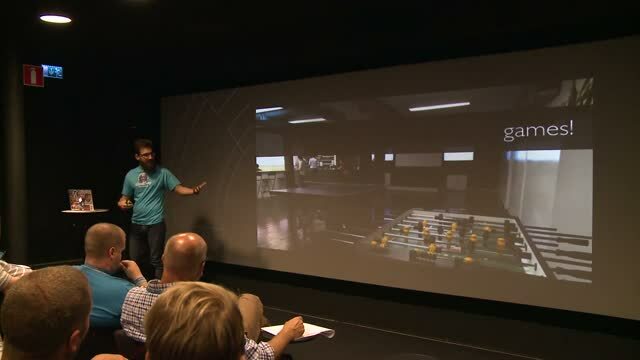 This session is aimed to WordPress developers, marketers and product managers whose goal is helping their customers/users enjoy and get the most out of their product. December 7, 2015 — Although distributed companies are becoming increasingly popular, internships are still a wonderful opportunity for agencies to assess talent and for young job seekers to get real working experience. But how exactly can you mentor someone or be mentored without constant face time? 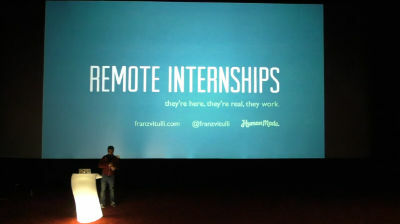 In this talk, thanks to my unique position as a former remote intern and current remote mentor, I will present some insights on how to get the most out of a remote internship: setting it up, hiring, being hired and making sure that the internship becomes a valuable and productive experience for both sides. This session is aimed at WordPress distributed companies and people who want to grow their career as a remote employee. December 2, 2015 — As working remotely is getting more and more popular in the WordPress industry, many of us are choosing to work from co-working spaces. But is everyone familiar with co-working etiquette? This talk will present some insights on how to be a good co-worker, boost your productivity in a co-working environment and nurture the co-working culture. October 9, 2015 — As working remotely is getting more and more popular in the WordPress industry, many of us are choosing to work from co-working spaces. But is everyone familiar with co-working etiquette? 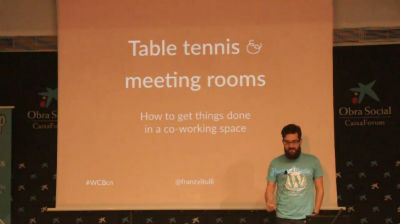 In this talk, Franz will present some insights on how to be a good co-worker, boost your productivity in a co-working environment and nurture the co-working culture. He will share the most common challenges he has encountered whilst working from a co-working space and how he overcame them.